The main Chestnut Hill Campus features Gothic style architecture, with plenty of grass and trees. Several of the buildings house major collections, including Burns Library, home to manuscripts and letters of Samuel Beckett, William Butler Yeats, and Graham Greene. And the McMullen Museum of Art. This is known as the Wizard of Oz Atrium. It is said that the interior designer was inspired by the window framing resembling a witch’s hat. The rest is history. Boston College is home to 9,000 undergraduate students. Twenty-five percent are minority students, 48% are men, and 52% are women. There are 30,000 applicants for 2,250 openings in the freshmen class. The mean SAT of our current freshman class is 1330. The mean ACT for our current freshmen is 29. But really, those are just quantitative measures. We’re looking really to enroll a community of scholars, a community of leaders. People who have a diverse array of talents, whether it be in the arts, in student government, in debate, in music. That’s going to enrich the community for everybody. (Find out how to Ace you ACT test) Yearly tuition at Boston College runs about $37,500 a year for both in state and out of state students. Added room, board, and fees will bring that total to around $50,000. BC is best known as a liberal arts university with four undergraduate colleges offering nearly 50 majors or concentrations, 17 interdisciplinary programs and pre-medical and pre-law programs. “Well, I chose the School of Management and Marketing because I’d heard a lot about the faculty. They bring a lot of real-world experience into the classroom.” “All the students in the Carroll School not only get an opportunity to become management decathletes, they study all the of the disciplines within the School of Management, but they also get an opportunity to get a very strong and, and well grounded liberal arts education. The employers that come to campus uniformly tell us that they really like the depth and breadth that they see in critical thinking around our students.” Some of the most popular majors are Finance, Communications, English, Biology, History, Economics, Psychology, Marketing, and Political Science. “This is a place that nurtures interest in politics. Like most political science programs, we have arrangements for junior year abroad. We make sure that students have opportunities for internships, but one thing that’s special is that we keep close tabs on them so that we know that these are really meaningful experiences.” Can you guess which former speaker of the house graduated in the class of 1936? Tip O’Neal was a Boston College alumnus, and this library exhibit highlights his illustrious career. This is the actual desk from his office at the House of Representatives. Check out writings, video clips and audio clips, and dive into the world of politics. It’s Tip O’Neal that coined the phrase, all politics is local. BC has close to 700 full-time faculty members. Ninety-five percent hold a doctorate. The average class size is 31, and the student to teacher ratio is 13 to 1. “Never hired a research assistant to do any grading for me. I’ve only graded papers myself. I’ve never taught a course where I didn’t know everyone’s name.” “Professor Pope is someone I’ve taken multiple classes with. I’ve gone on an International Experience with him. I get, I’ve gotten to know his family; I’ve gone over to his house for dinner, so the faculty really kind of put themselves out there and get to know the students on a, a personal level, not just an academic level.” BC has a slew of Division I level sports teams. The Eagles compete in the Atlantic Coast Conference, and their men’s hockey team have won multiple national championships. “The students really love to go to the games. Everyone has a Super Fanfare, which is a bright gold shirt that has a maroon logo on it of the, of the Eagle, and everyone wears it to the game, so you have this sea of maroon and gold cheering on our team.” Freshmen have standard double rooms on the upper campus or the Newton Campus. The Newton Campus is about a mile away. It houses approximately one-third of the freshman class. Later, students share a suite style apartment. Boston College has amazing facilities here. Right now, I live in an apartment style residence hall, so me and three of my roommate live at two people per bedroom, with a full-size kitchen, bathrooms, and the best part about being in the residence hall is that I’m close to class, and also I’m near all of my friends. There are more than 250 clubs and organizations on campus, including club and intramural sports. “And a majority of BC students are involved in volunteer organizations.” “You have many opportunities, whether it’s doing service in the Boston area, right here on campus, throughout the United States and even internationally. Brazil, Belize, Jamaica, El Salvador. I went to Mexico my junior year, in Tijuana, Mexico to do service at a men’s shelter. Men and women in service to others. You hear that a lot. I think that that’s really fostered on this campus, this idea that we are part of something bigger.” When it comes to BC’s famous alumni, Senator John Kerry is also on the ticket, along with Chris O’Donnell, Amy Puller, Peter Lynch, and Doug Flute. The tradition at BC is for freshmen to line up on Lemon Lane at the statue of the golden eagle to march to the convocation, marking the beginning. Then, four years later, they line up at the same spot to march to their graduation, marking the end. And this happens to be the end of our tour of Boston College. This YouniversityTV, thanks so much for joining us, and we’ll see you soon. So if you’re looking for: Great academics, a wonderful campus, great people. Check out Boston College today. Four years of great teachers and, and some really good experience. Visit Boston College website here. Make sure to visit our College Tips to read our blogs and get you prepared. 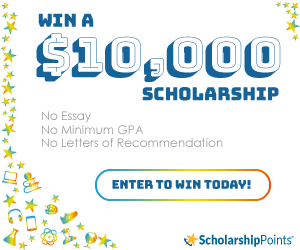 Get YOUniversityTV’s $5,000 scholarship. subscribe and stay up to date with all new college videos and important blogs.